Personality... confident, brilliant, and a bit of a smart aleck. Jimmy’s giant brain allows him to dream up wonderful inventions and solve tough problems, but it also gets him into a lot of trouble. 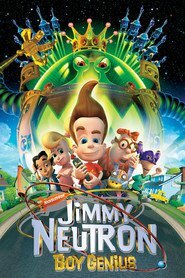 Jimmy’s latest communications satellite has been picked up by an alien race that has decided to kidnap Retroville’s adults as part of a sacrifice to its god. The good news? Jimmy is used to cleaning up his own messes and is already concocting a plan to get his parents back. The bad news? He might make another mess. Jimmy Neutron's popularity ranking on CharacTour is #2006 out of 5,000+ characters. See our top-ranked characters and read their profiles.